Multichannel marketing is sending messages to customers using a combination of channels. Multichannel marketing typically combines everything from web content to direct mailers, email to mobile marketing, social media to signage in a physical store. 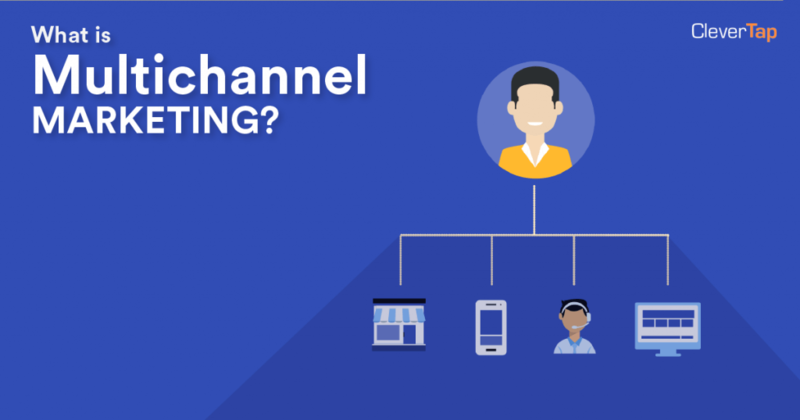 Both multichannel marketing and omnichannel marketing use multiple channels to reach potential customers, and at first glance, there doesn’t appear to be much difference between the two approaches. But dig a bit deeper and you’ll see they’re very different when it comes to strategy and execution. Multichannel marketing is a crucial method of communicating with customers because they may not receive your message on only one channel. Having your message shared on a wide variety of channels increases the chances that a prospective customer sees or engages with your brand. The majority of your users own multiple devices. Some may even enjoy purchasing products from actual brick-and-mortar stores. As a mobile marketer, it is your responsibility to be ready for when a user converts – whichever channel the user chooses to finally hand over his credit card info or his email address or take a demo of your app. If your multichannel efforts are successful, then you have all channels ready with the messaging and the functionality to make conversion easy for the user. With so many channels available, how do you figure out the right combination of channels that delivers ROI on your marketing spend? This is where the right analytics tool comes in handy. With the right dashboards tracking the right metrics, you get a better view of which channels help you acquire customers efficiently. With so many channels delivering your messages to users and customers, how can you tell which ones brought in a new customer? This is where attribution comes in. Having AI tools track which action led to the conversion is beneficial to your brand.